These instructions provide installation steps for installing Web Help Desk in an Orion deployment. For advanced configuration requirements and steps such as Federal Information Processing Standard (FIPS) 140-2 compliant cryptography, see the Web Help Desk Administrator Guide. 1. Install Web Help Desk on a dedicated server Complete the procedures for installing Web Help Desk in a stand-alone deployment. After installing, you will integrate WHD into the Orion Platform. 2. Activate the license Complete the procedures for activating the license. Configure the SolarWinds Orion Platform to generate alerts triggered in SolarWinds NPM, NCM, and SAM when a network event occurs—for example, when a node fails for any reason. When specific alerts are shared with Web Help Desk, Web Help Desk automatically generates a ticket based on the alert. Log in to the Orion Web Console. Create a new alert or open an existing alert. On the alert Summary page, expand Alert Integration. Select the Integrate alert with other SolarWinds Products and subscribers check box. You can use this name in the Alert subject field for the alert. Click the Severity drop-down menu and select an alert severity. This information is used to determine how Web Help Desk processes a shared alert. Click Insert Variable and select any additional alert properties. Click Insert Variable to save the additional properties. Ensure that you are logged in to the Web Help Desk Admin Console as an administrator. In the toolbar, click Setup and select Tickets > Request Types. The Request Types window displays the current default request types. Enter a name to identify this request type. For example, SolarWinds SAM alerts. To create a nested request type, select the parent type (for example, IT General/Other). Optionally, click to copy values for the remaining fields from the parent type. To create a top-level request type, leave this field blank. Select the tech group that will handle this type of request. If the tech group has not been defined, leave this field blank. You can map the request type to a tech group when you define the tech group. Specify the default priority and whether fields are hidden or required. In the Detailed Instructions field, enter additional information to be displayed on the ticket. For example, you can provide specific instructions for creating this type of ticket, or explain the request type's purpose so a client can choose the correct type. You can apply BBCode formatting to format lists, add emphasis, or include links to supporting information. See Customize tickets, notes, instructions, and emails with BBCode for details. Clear the Visible to Clients check box so this type is selected only by techs. Specify whether the tech will be prompted to select an asset or model when they create this type of ticket. Optionally, restrict this ticket type to specific companies, locations, or departments. Only clients or techs associated with your selections will see this request type. If an approval process should be automatically initiated when a ticket is saved with this request type, select the approval process. Alternatively, you can associate a request type with an approval process when you create the approval process. To include custom fields on this type of ticket, specify which fields to include. Specify whether clients can attach files to this type of ticket, and whether this request type is available as a category when techs create an FAQ. The Attachments Enabled option does not affect whether techs can attach files. Identify the tech who will receive the highest level escalation (after the tech group manager). In the Survey field, select None to disable surveys for this ticket type. In this example, the request type is nested in the IT General/Other request type. Repeat step 3 through step 17 to create request types for SolarWinds NCM and NPM alerts (if applicable). This process creates a communications link between the Web Help Desk server and the monitored source (such as SolarWinds SAM). When an event occurs, Web Help Desk generates a ticket from the alert and forwards the ticket to the assigned tech group and tech for troubleshooting and resolution. Log in to the Web Help Desk Admin Console as an administrator. Click Setup in the toolbar and select SolarWinds Integration > SolarWinds Connection. Click Add new SolarWinds Source in the SolarWinds Connection screen. Enter the connection source name in the Source Name field. 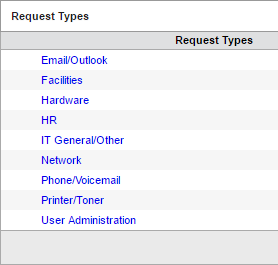 Click the WHD Request Type drop-down menu and select a request type. Enter the SolarWinds Server IP Address or Fully Qualified Domain Name (FQDN). Enter the SolarWinds administrator user name and password. To ensure Web Help Desk can access the required SolarWinds alerts, enter administrator-level SolarWinds account and credentials data into Web Help Desk. 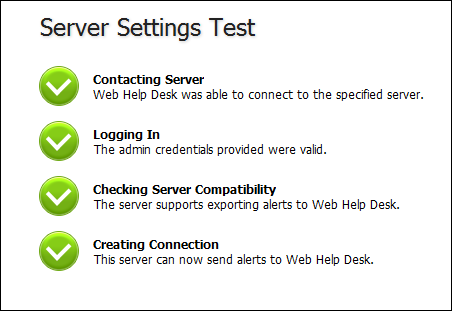 When Web Help Desk creates a connection with a SolarWinds Orion alert source, the checked areas in the window contain green check marks. 6. Configure a filter Configure an alert filter to recognize a specific issue in the Orion Platform and create a help desk ticket based on that issue. 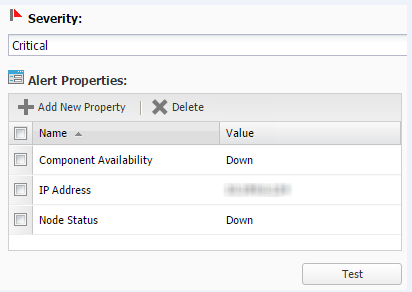 Configure and test the alert filter rules to ensure they are filtering the properties correctly. The test should include the severity and any alert fields that are configured in the filter rule. Verify that the alert filtering rule is configured correctly. The following example shows a test for a filter rule. Click Add New Property, select an alert field, and then enter the value. Add all alert properties defined in the filter rule, and click Test. If the rules are configured correctly, a message states that the filter rules match and the alert is accepted in the Test Results pane. Click Done.